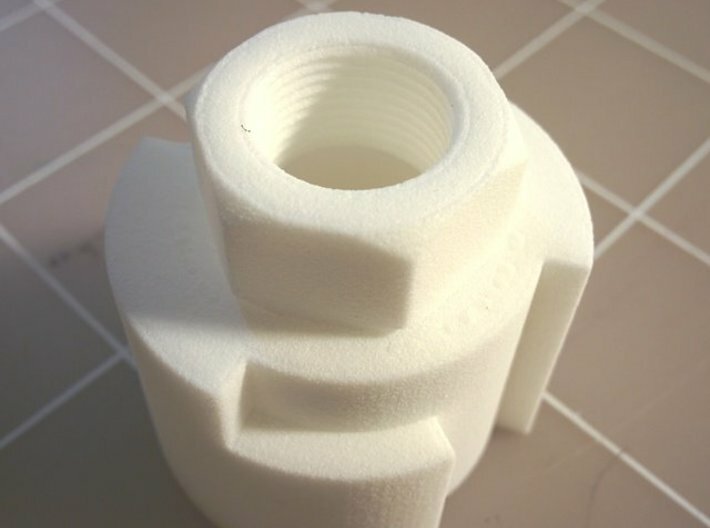 Get high quality 3D prints in over 40+ materials and finishes. You haven't added any 3D printed products yet. 3D printed in dark blue, richly colored nylon plastic with a smooth finish. 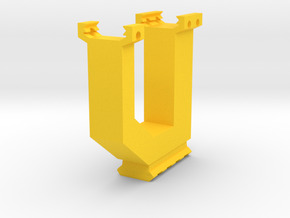 This Airosft3D product allows you to attach Nerf Modulus front barrels to your airsoft gun. 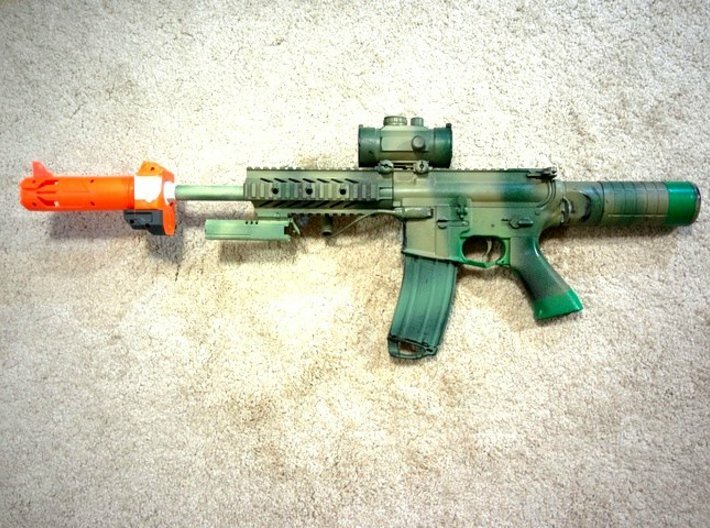 With this adapter, you can use any Nerf Modulus silencer and suppressor to hide your airsoft inner barrel. 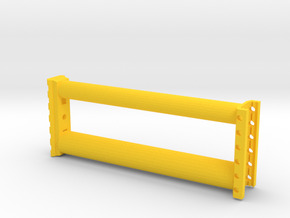 Check out Blasters3D muzzles for Nerf Modulus for a huge selection. 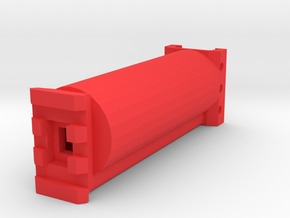 This adapter screws onto your 14mm airsoft external barrel. 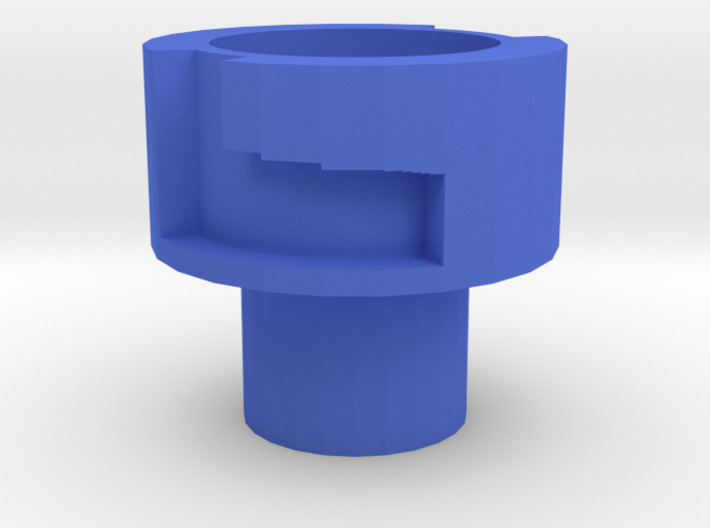 Since it is self-cutting, you can screw it onto either positive or negative 14mm metal external barrel to create the thread you desire. 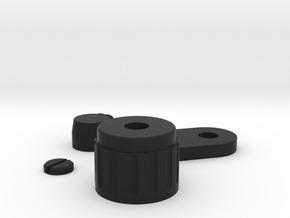 Once the thread is cut, you can screw it onto a plastic external barrel as well. 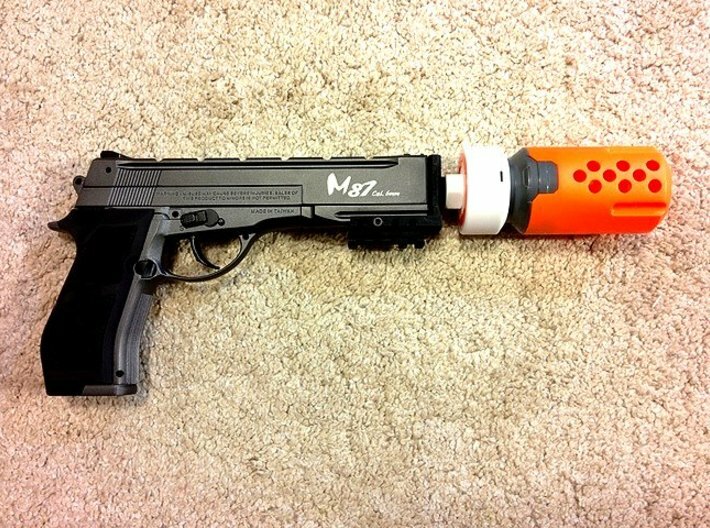 The tight fit also allow you to orient your Nerf Modulus barrel in any direction. 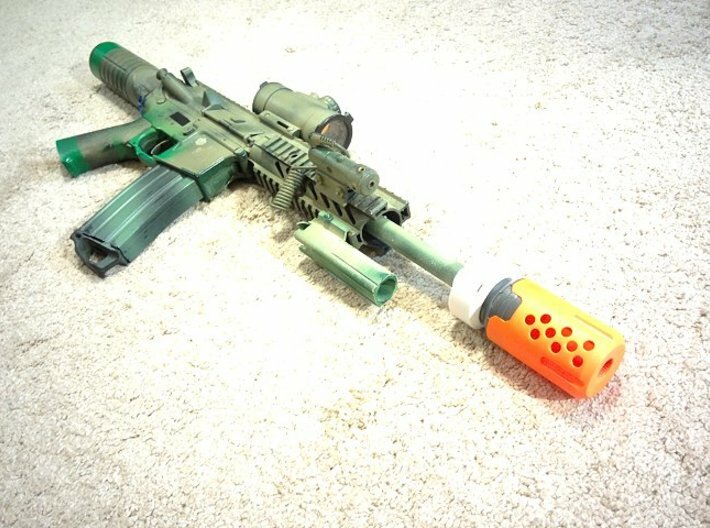 This Nerf Muzzle to Airsoft Barrel Adapter is excellent for making a pistol or rifle look science fiction. It great for cosplay and movie making. You will wow your friends. 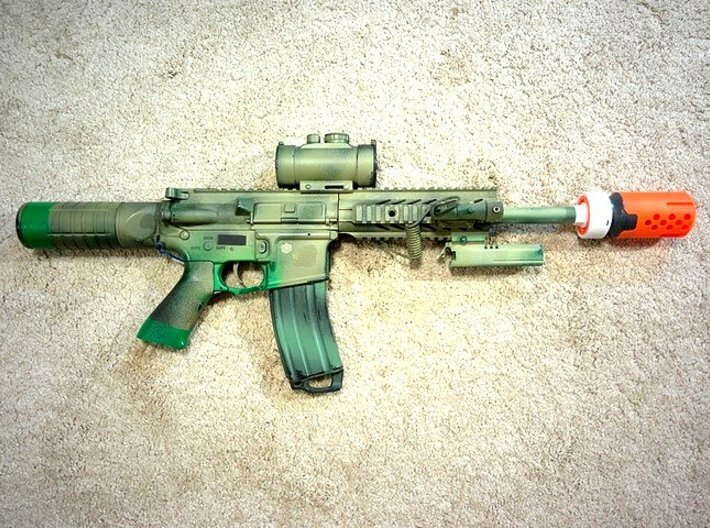 Airsoft and Nerf equipment used for illustration of this barrel adapter are not included. 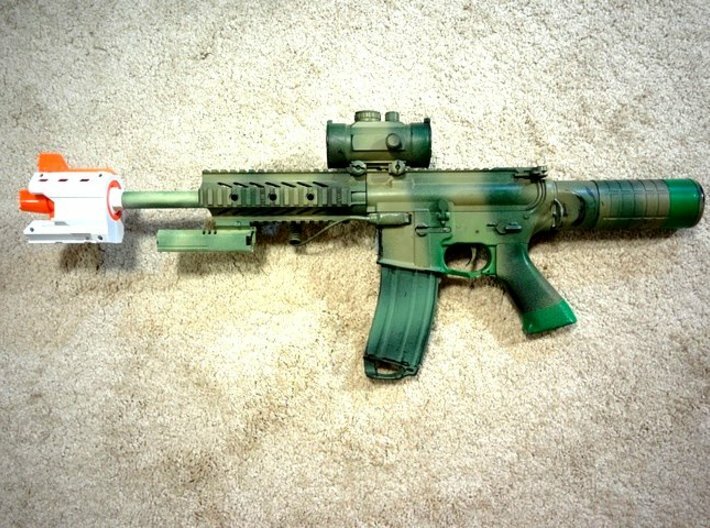 WARNING: This barrel adapter is designed for airsoft guns. It is NOT suitable for real firearms. Sign In or Join to comment. © 2008 - 2019 Shapeways, Inc.
Click anywhere outside this window to continue.